“Whatever affects one directly, affects all indirectly. I can never be what I ought to be until you are what you ought to be. This is the interrelated structure of reality.” Dr. Martin Luther King, Jr.
“Three Turnings” is derived from the Buddhist expression, “Three turnings of the Wheel of Dharma.” It refers to the belief that Buddha set into motion three great turns of the wheel with his teachings about the nature of reality, suffering, knowledge and interdependence in the search for liberation and peace. The blog is not about Buddhism but is rooted in the challenge of determining what reality is in a divided America and how our behavior might change if we fully recognized our interdependence. My parents and their families were ripped from their homes in Seattle and San Jose during World War II and sent into concentration camps in the deserts of Idaho and Utah for the crime of looking like the enemy. 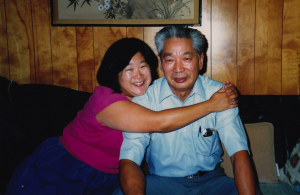 This family history led me, like many Japanese Americans of my generation, to become an activist. For over 20 years, I have worked to defend and advance the civil and human rights of Asian Americans and other vulnerable communities, first as a volunteer, then as the head of the Japanese American Citizens League’s Washington, DC office and most recently as the President and Executive Director of the Asian American Justice Center, until leaving in March 2012. While working to ensure the Asian American community had a seat at the table in the nation’s capital, I had the wonderful opportunity to engage with other communities also yearning to have their voices heard. Whether African American, Hispanic, Native American, Pacific Islander, LGBT, immigrant, people with disabilities, Muslim, Sikh or Jew, we all are seeking to be accorded fairness and human dignity. So I helped to create and lead coalitions like the Asian Pacific American Media Coalition that works with the NAACP, the Hispanic Media Coalition and American Indians in Film and Television to improve the quality and quantity of roles for minorities in prime time television; the Rights Working Group which pulls together traditional international human rights groups with civil rights, immigrant rights, civil liberties and faith based groups to fight the erosion of basic rights – particularly of immigrants – after the terrorist attacks of 9/11; and Reform Immigration for America, a coalition of stakeholder groups fighting for fair immigration policies that would more quickly reunite families and address the vulnerable undocumented population. Along the way, I learned the importance of data and saw how communities are made invisible by the way data is or isn’t collected. I saw how the current patchwork system for administering elections serves to keep minority voters disenfranchised, almost 50 years after the passage of the Voting Rights Act. And how the old boys network pervades every institution, suppressing the opportunities and voices of everyone excluded from the network. My Dad taught me that we don’t deserve to complain if we aren’t willing to do something about the problem. This blog is dedicated to him. I want to share my knowledge of how we can make a difference.